In just about a month or two, Pokémon GO has one way or another taken over the world. I never thought that I will be writing about Pokémon GO but this was born out of annoyance as some “financial advocates” scoffed at it as a WASTE OF TIME because “time is money” so they say; this irked the retired gamer (and Pokémon Trainer) in me. Let’s put things in perspective: the company (Niantic) that developed Pokémon Go is now worth around $3+ billion in valuation and has put more than $210+ million since the day it was released. The game has been the fastest and most downloaded app to date available in 69 countries. Entrepreneurs and whatever advocates can learn a thing or two about this innovation in rapid growth, expansion and income. For the unfamiliar, Pokémon Go is a free-to-play, location-based (GPS) augmented reality game (mobile app) that was released in July 2016. It earns via in-app purchases utilizing the “Freemium” model by selling items needed to catch, breed, and grow Pokémon. Just like MMORPGs, a connected online game can grow its own economy, currency exchanges and the like commerce and these enterprising activities usually spill-over into the real world. 1. Professional Pokémon Trainer–basically, you ask a fee to play and catch Pokémon on others' behalf. Your market will be the eager/impatient, the lazy and people who are busy with adult responsibilities (childcare, pregnancy, difficult job). * Egg Hatcher – Unless you are trying to lose weight, you won’t do all the walking needed to hatch Pokémon Eggs. * Pokémon Lurer - You can set-up ‘lure modules’ at PokéStops which players use to attract wild Pokémon for 30 minutes. Small business within proximity to a PokéStop benefit with increased foot traffic, advertising and potential business (or become a sponsored location). 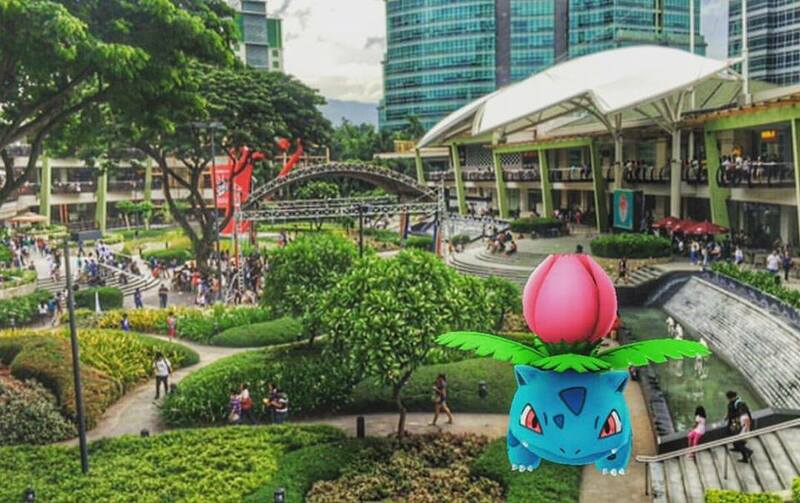 SM and Ayala Malls have already organized “Lure Parties” just last weekend! 3. Selling your account – this isn’t common now but eventually it will come to this. Some people just don’t have the time, patience or energy to find rare, strong Pokémon; this is where the Pro-Gamers come in, grinding and building up their character for sale. * If you own an internet hotspot device, then you can rent it for a fee! It is a good thing that this app is helping businesses and tourism but don’t forget to be mindful of your expenses too (items, food, transport..etc..), for you could end up spending more. Originally Published in Philstar - The Freeman Newspaper last August 16, 2016.